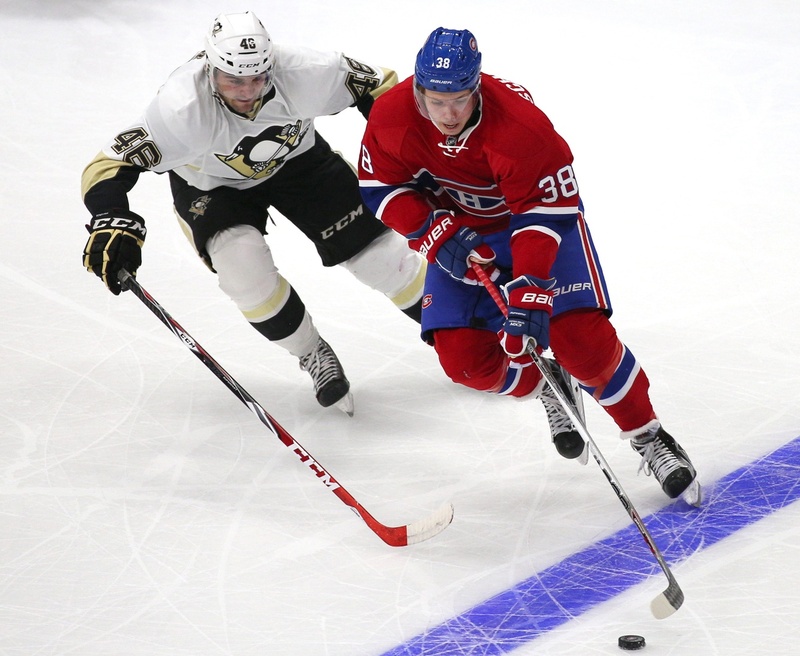 LOVELAND — Drayson Bowman, raised in the Denver area and one of the early phenoms in the Colorado youth hockey explosion, has played 179 NHL games with the Carolina Hurricanes and Montreal Canadiens and 264 in the AHL. 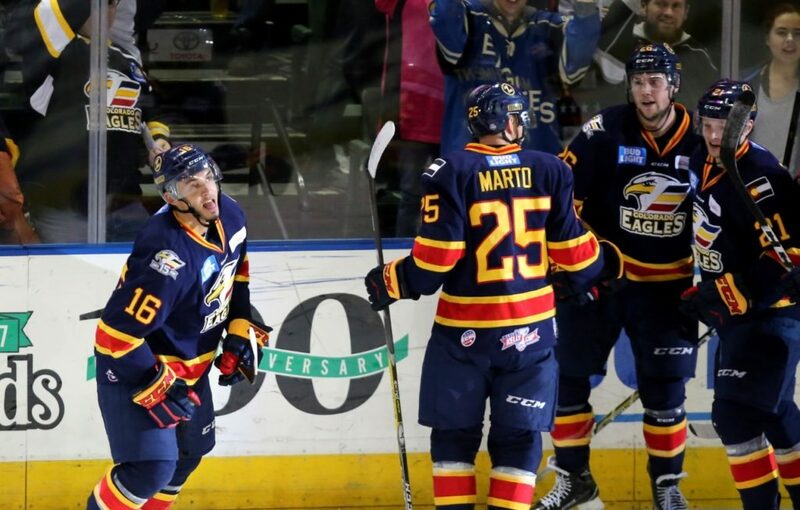 So why is the 28-year-old winger in the ECHL with the Colorado Eagles? It’s a Bowman brother act and homecoming. 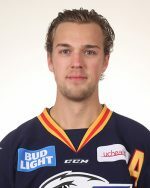 Drayson and defenseman Collin Bowman, 26, signed ECHL contracts with the Eagles organization — rather than anything with the parent Avalanche — and reunited to play within 50 miles of Denver. Drayson played the previous two seasons in Germany, while Collin is coming off one season in Austria. 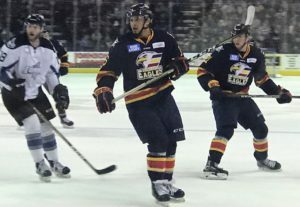 That’s one of the major story lines as the Eagles begin their final stretch run in the ECHL before the Loveland-based franchise steps up to become the Avs’ AHL affiliate next season. The lame-duck 2017-18 season at the “AA” level for the defending Kelly Cup champions has been both successful and intriguing. Despite Wednesday and Friday losses to the Steelheads, the Eagles (31-11-4-1) have a comfortable seven-point lead in the Mountain Division. 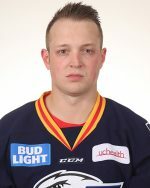 Drayson Bowman had two goals against the Steelheads Friday night and has 13 goals and 23 assists in 40 games for Colorado. Collin Bowman is back for his third stint with the Eagles after also playing for San Francisco and Bakersfield in the ECHL and getting a 33-game look in the AHL. At this point of the Bowman brothers’ careers, there’s more to it. Drayson usually is on a line with the Michael Joly, 22, who has an astounding 34 goals in 39 games with the Eagles. The Avalanche has Joly under an AHL contract, and he also has played seven games for San Antonio. After four seasons in the Quebec Major Junior Hockey League, the undrafted Joly split his rookie pro season with Greenville of the ECHL, where he had 23 goals in 29 games, and Hartford of the AHL. That adds up to Joly having 57 goals in 68 ECHL games without getting much of a look at the AHL level. Bowman and Joly have meshed, and that’s Joly at the left in blue and Bowman at the right in the picture below, both watching Bowman’s shot go into the net for his second goal of the game against the Steelheads. Bowman was born in Grand Rapids, Michigan, but moved with his family to the Denver area when he was an infant. “I’d had a hockey stick in my crib, I’m told,” he said. Michael Joly (16) and Drayson Bowman (21) watch Bowman’s shot head into the net for the Eagles’ third goal Friday night against Idaho. The Bowmans temporarily moved to Vancouver and Drayson played bantam there, was drafted by major junior’s Spokane Chiefs — owned by former baseball star George Brett and his brother, Bobby — and was a star on a Western Hockey League and Memorial Cup championship team in 2008. In six Memorial Cup games, he had six goals, including the game-winner in the championship game as the Chiefs beat Kitchener to become the first U.S.-based franchise to win major junior’s three-league, four-team tournament in 10 years. A third-round choice of the Hurricanes in 2007, Drayson never quite broke through to become entrenched in the NHL. Rather, he mostly was an organizational depth forward, dividing time between the Hurricanes and the AHL. 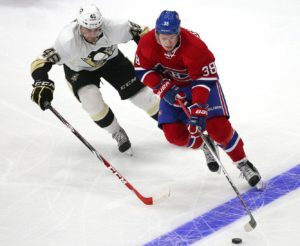 In his only full NHL season, he had four goals in 70 games with the Hurricanes in 2013-14, and his last NHL run was a three-game stint with the Canadiens in 2014-15, a season he otherwise spent with the AHL Hamilton Bulldogs. Was he frustrated by that NHL experience? “I was,” Drayson said. “At times, I felt like when I kind of broke into the league, I was on the fourth line and not getting as much of an opportunity as I would have liked. At the same time, I really enjoyed my time in Carolina and I had a lot of great memories there. Drayson seems overqualified for the ECHL, yet he’s fine with it because of the special circumstances. He also was Collin’s teammate for three games with the Eagles in 2015-16, spending the rest of the season in the AHL (16 games) and at Duesseldorf (24 games). Drayson purchased a home in Windsor and at least has thought of the possibility of seeking to stay with the Eagles as a journeyman when they move to the AHL next season. That would be the Avalanche organization’s decision.